Hey all! I've been pretty absent from the blog off late due to other commitments (namely school and work). Professors basically give an unconstitutionally absurd amount of homework, projects, quizzes, and exams at the very time of the year that the weather gets good. I love getting outside, it's good for the soul. 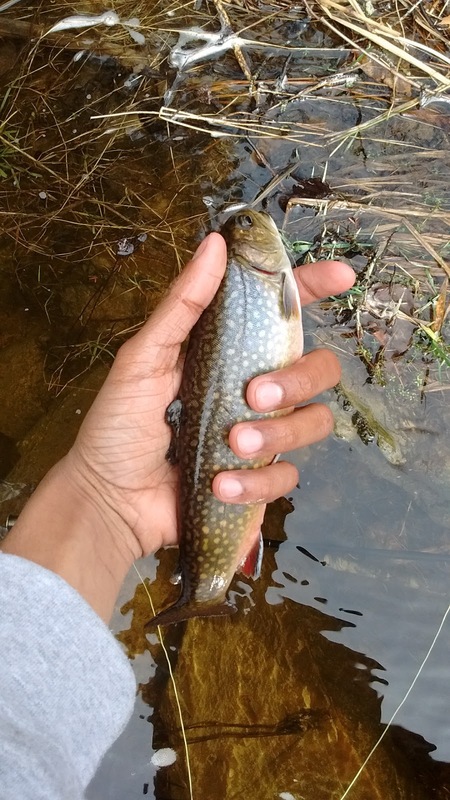 I love fishing, it's GREAT for the soul. Luckily, I got a little head start on a couple of projects and wrapped up two exams today so I had a little time to do some scouting. 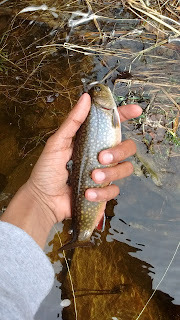 I hit a couple of small freestones in my area today as well as a couple of ponds with a couple of buddies. They were using hardware while I opted with the fly rod. The rivers haven't been stocked yet despite the falling flows and even if they have, the fish were very tight lipped and lethargic as none of us saw any follows as is customary with many fresh stockies. After fishing for a short amount, we headed to a local quarry pond and proceeded to get skunked there again. The water was gin clear despite the wind but despite that, we did not see any fish. Not wanting to call this day a failure, my buddy Matt urged one last stop at the Old Durham Reservoir. The fishing was remarkably slow there too although I managed to land a couple of bluegills. One on an oversized olive cone head wooly bugger meant more for large browns and rainbows and one on a self-tied size 16 BH caddis pupa. I saw bugs sporadically hatching on the rivers as well as a few on the ponds. No rises anywhere yet.